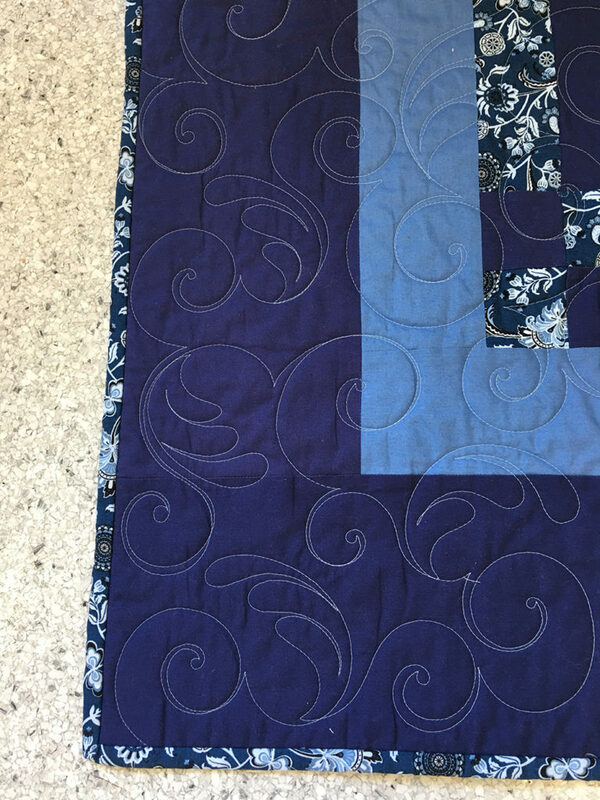 You are here: Home / Activities / Latitude 49 Quilt Winner to be Drawn at August 26 Dance! The Latitude 49 Quilters have been hard at work creating this year’s quilt to be raffled off this summer! Quilt Raffle Tickets are currently on sale. Each ticket is $1.00 or 6 tickets can be purchased for $5.00. Questions? Contact Sue Wickersham (Lot 19). You do NOT have to present to win; however, the TICKET must be present to win! So …. if you can’t be at the dance during the drawing, be sure that you give your tickets to someone willing to represent you that is going. Dance details are available on the calendar. 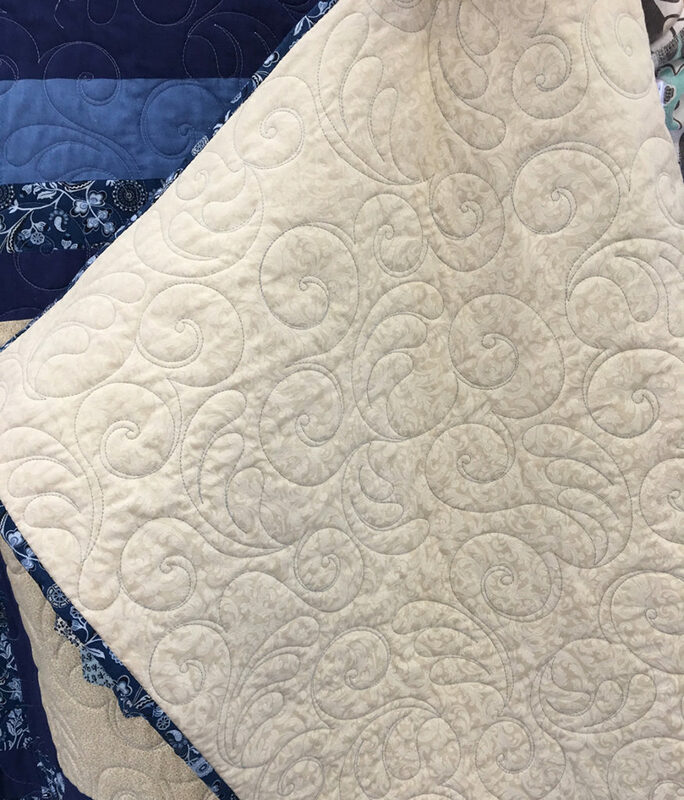 All proceeds go to purchase materials for the quilters that in turn create donated items for charity. Items to be made over the summer include the following: Totes for children (stuffed with toiletries and miscellaneous items); baby quilts; and dog beds. Charities supported are Lydia Place and the Agape Home. 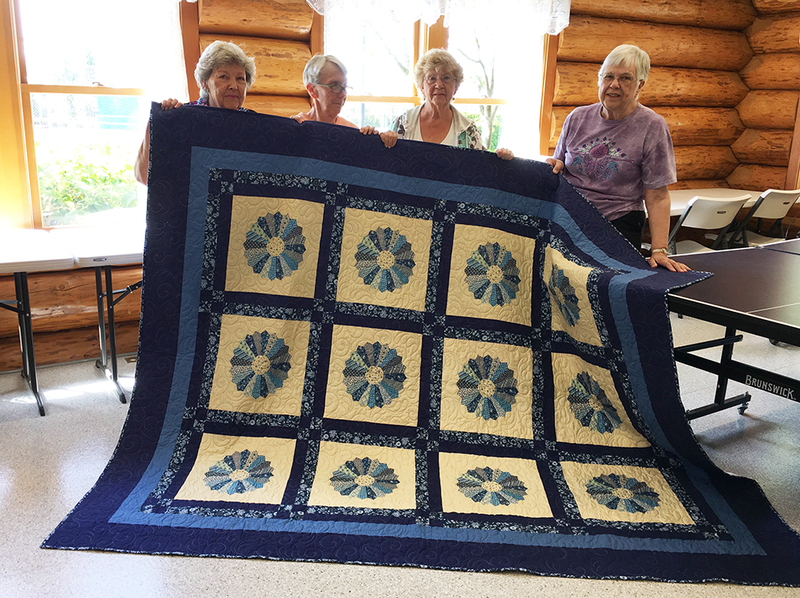 The Latitude 49 Quilters meet weekly on Tuesdays from 10:00 a.m. to 1:00 p.m. over in the ping pong room. Bring your lunch! All levels of sewing skills are welcome. 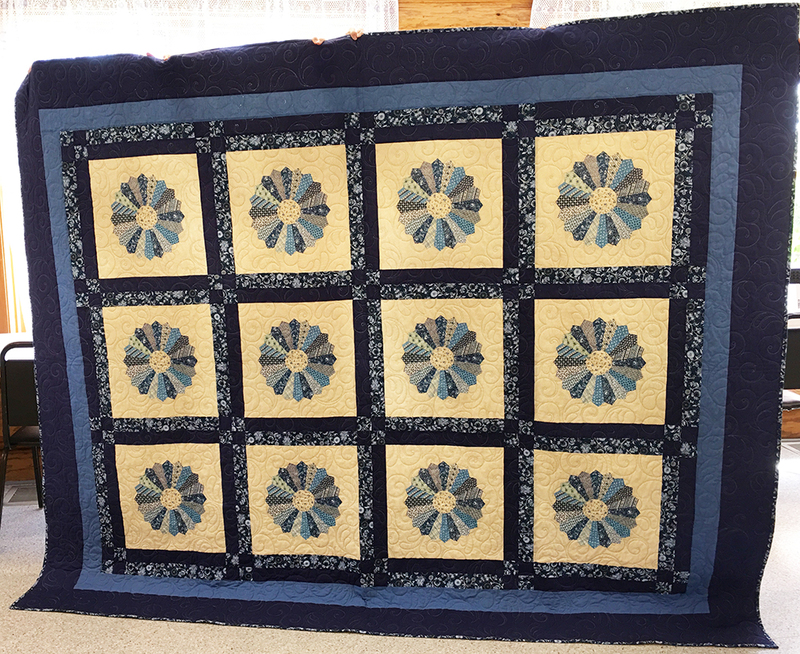 Below are some photos of this beautiful quilt. The quilt is sized for a queen bed. The dimensions are 82 inches by 102 inches. Another view of the quilt. Holding it up are (from left to right) Carol Jenkins, Sue Wickersham, Hazel Rutherford, and Clara Kiel. The quilt is reversible. This is a view of the other side of the quilt. 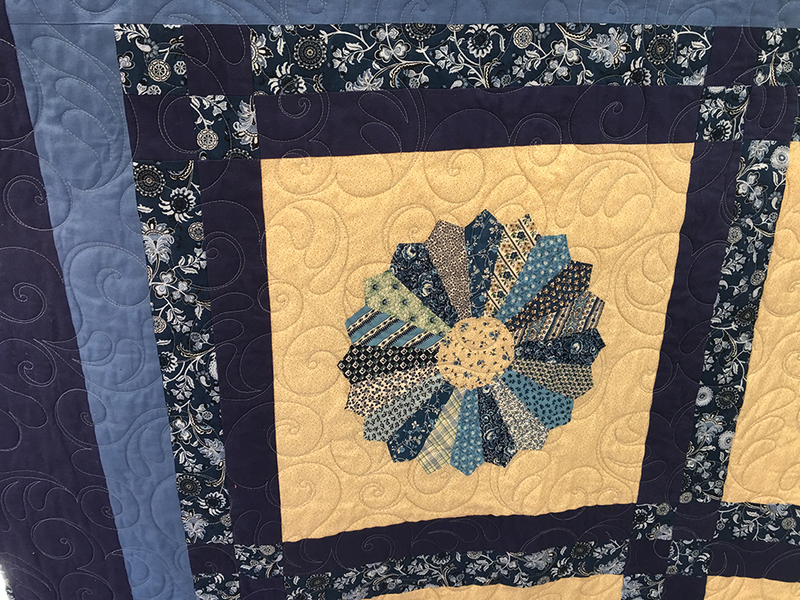 A close up view of the quilt border. Be sure to purchase your tickets soon!